Alkali Metals are very reactive metals that do not occur freely in nature. The alkali metals are malleable, ductile, and are good conductors of heat and electricity. 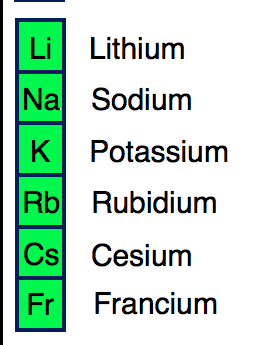 The alkali metals are softer than most metals. Cesium and francium are the most reactive elements in this group also Alkali metals can explode if they are exposed to water. 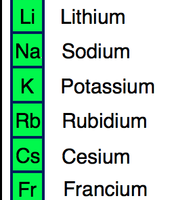 This picture above shows all the alkali metals. 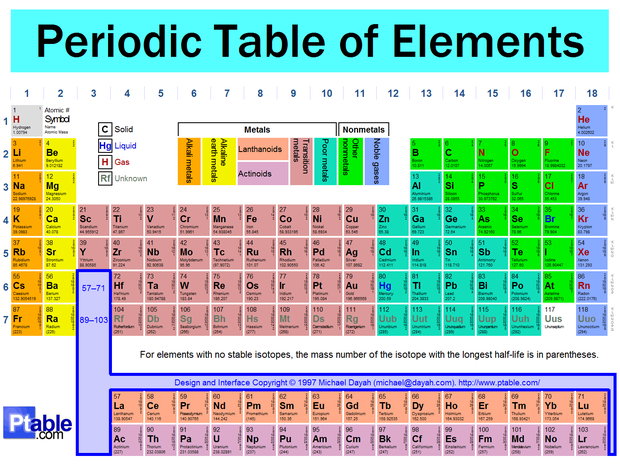 The alkaline earth elements are metallic elements. All alkaline earth elements have an oxidation number of +2, making them very reactive. 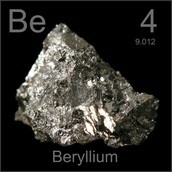 Because of their reactivity, the alkaline metals are not found free in nature.